Appeal against recovery of $185 mln in favor of Rosneft to be reviewed on March 19 | Russian Legal Information Agency (RAPSI). MOSCOW, February 15 (RAPSI) – The Ninth Commercial Court of Appeals will review an appeal filed by Cypriot company Swisspro Capital Limited Swisspro Capital Limited against a lower court’s ruling recovering $184.8 million in favor of Russia’s largest oil company Rosneft, RAPSI has learnt in the court. 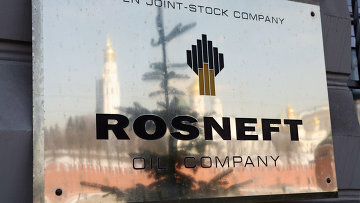 On November 15, the Moscow Commercial Court granted a motion filed by Rosneft seeking to collect the debt related to the crude oil delivery contract of March 27, 2014. According to a SSU statement, in order to protect the state property-related interests certain VETEK assets in Odessa were seized, and Kurchenko was put on the international wanted list.